Here are just a few of the essential plumbing services we can perform for your Beltsville home! Our homes are an expression of our personalities and everything we hold dear. So it can be a little frustrating when the parts of our homes don’t work the way they are designed to. 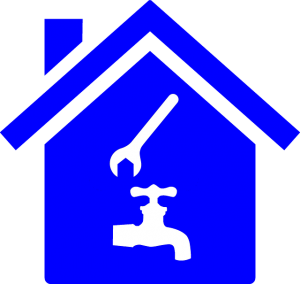 The plumbing system, in particular, is one of the essential parts of a functional home. When your plumbing situation needs to be addressed promptly, who should you turn to? Master Plumbing is the plumber of choice in the Beltsville area! Our expert plumbers will be ready to assist you no matter what the issue might be. Quality is at the forefront of what we do and we have been recognized by Angie’s List and Best of Bethesda for our work. Here are just a few of the essential plumbing services we can perform for your Beltsville home! Clogs and drainage blockages will happen at some point in the life of any plumbing system in Beltsville. However, it is important to make sure these interruptions are addressed as soon as they are noticed. Luckily, technology has advanced to the point where a video camera can be appended to long, flexible rod so that a plumber can see exactly what’s going on inside your pipes and make an accurate diagnosis of the problem. Master Plumbing makes use of this technology to eliminate a costly manual investigation and get your plumbing in good working order faster. Looking to buy a new home in Beltsville? We can also use our video plumbing technology to check out the home’s plumbing system as a part of the home inspection process! Residents of Beltsville understand the importance of a well-designed, beautiful bathroom and kitchen in their homes. Whether you decide to remodel your kitchen or bathroom yourself or go with a professional contractor, it is critically important to ensure that all new and existing plumbing connections are made correctly and stand up to code. In addition, if you’re planning to construct new walls, you’ll need a licensed plumber to place them and your plumbing drain pipes. Master Plumbing can assist you or work with your contractor to ensure that everything regarding your plumbing and water supply is considered carefully before, during, and after the remodeling process. We can also help install new tubs, showers, and sinks and help you pick out new fixtures – all the while ensuring that your project adheres to all relevant municipal building codes. No matter what kind of plumbing services you may need in Beltsville, you can rest easy with Master Plumbing working on your home’s plumbing. We will give you a fair price for the work that we do and pride ourselves on our honesty, integrity, and courtesy. Your satisfaction is our number 1 priority! Give Master Plumbing a call at (301) 650-9100 or contact us online to get more information on how our expert plumbers can help you with your Beltsville home’s plumbing system. We have received Angie’s List Super Service Award recognition for plumbing and drain cleaning every year since 2007, in addition to the Best Plumber award from Best of Bethesda. We are fully licensed, bonded, and insured and our service is unparalleled. Give us a call today—you won’t regret it! To see examples of our projects, follow us on Facebook, Twitter, and Pinterest.